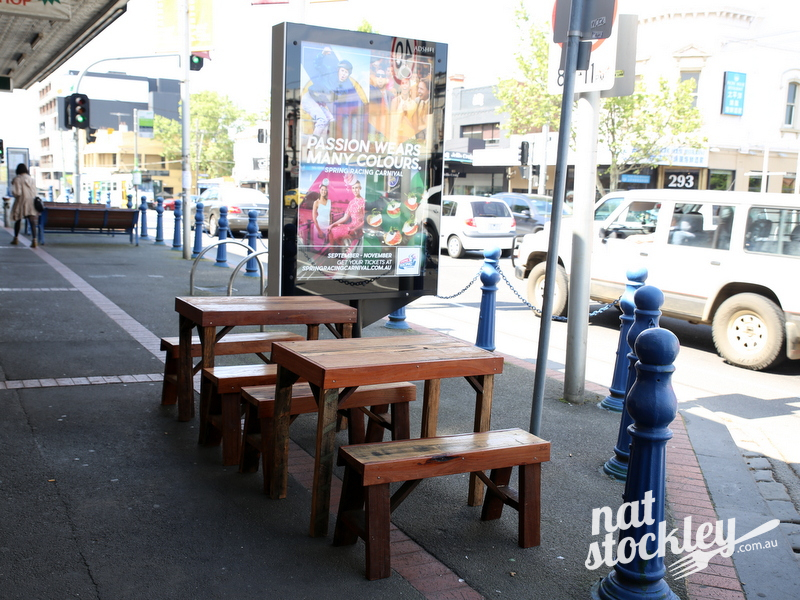 The Racecourse Road shopping strip that splits the suburbs of Flemington and Kensington is one rather fascinating neighbourhood, particularly if you’re chasing quality cheap eats. Some of the more notable operators in the area include Laksa King, I Love Dumplings & African restaurant The Abyssinian that serves up Ethiopian & Eritrean dishes from the Horn of Africa. 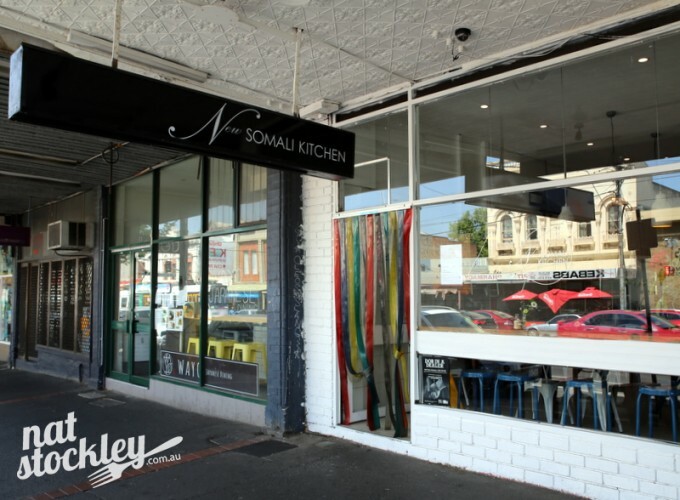 The latest addition to the Racecourse Road strip continues the African theme, however in this instance with Somali cuisine. 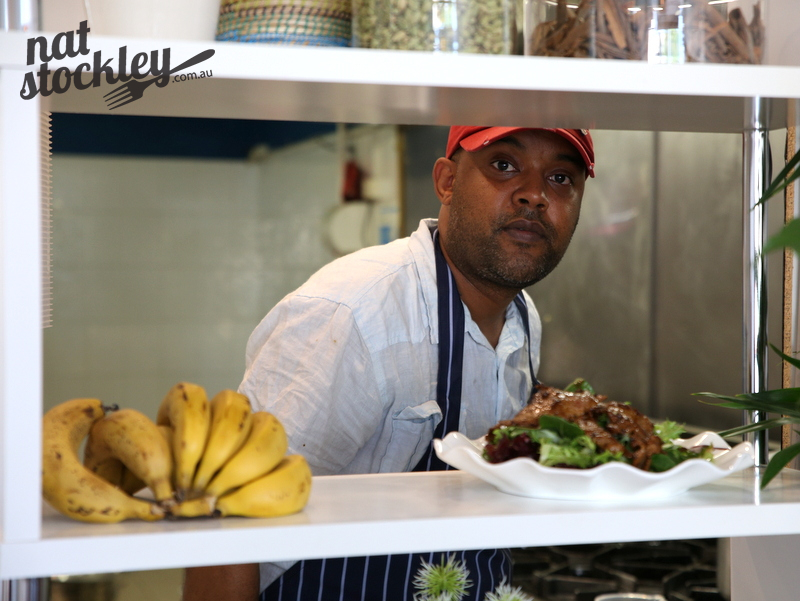 The New Somali Kitchen’s owner Abdo operated a Somali restaurant called “Hamar Wayne” in Heidelberg West for 11 years and hopes to repeat that long lasting success with his latest venture. 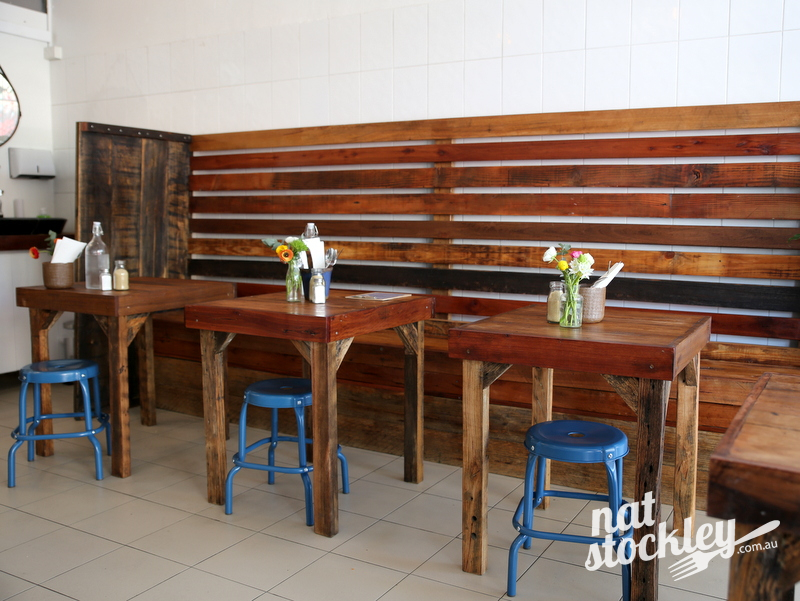 The succinct halal menu basically lists four main options & five sides; however you’re able to select from lamb, beef, chicken, goat or Somali-style falafel in most of the dishes. 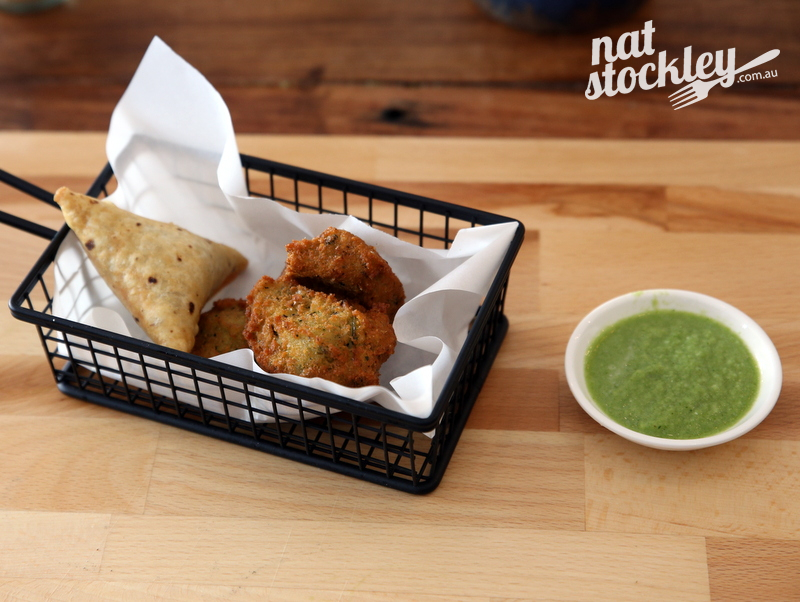 I start with a serve of the Bajeya; Somali-style falafel made from ground black-eyed peas, ginger, garlic & coriander. They’re light and delicately flavoured until I dunk them into the bright green house made Somali chiili. I also try out a Sambusa (a Somali samosa) with a fine ground beef filling. 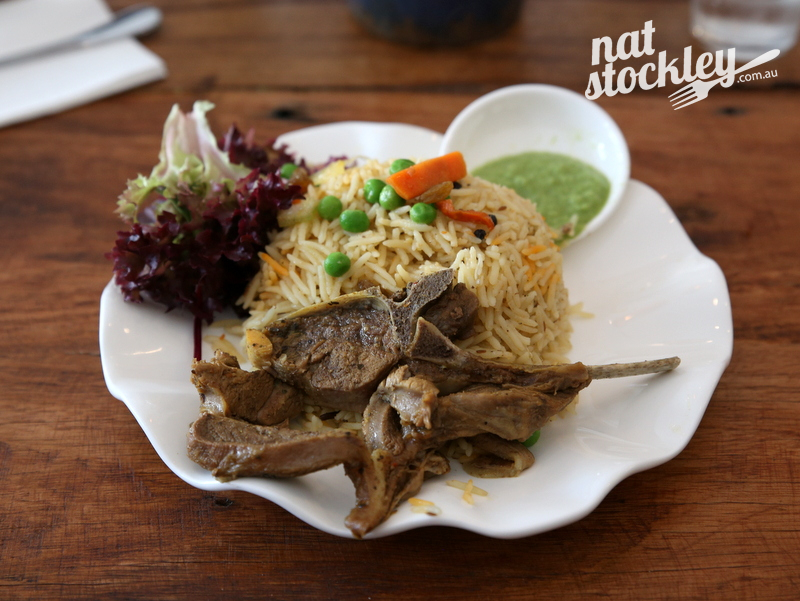 Moving onto mains, I settle on their signature dish, the NSK Classic which the menu fairly accurately describes as ‘tender lamb, cooked in Somali herbs & spices, served on fragrant rice with braised vegetables and fresh mixed leaves. Based on the menu description, I was expecting a little more in the way of braised vegetables than the peas and carrots adorning my rice and the undressed lettuce leaves don’t do much for me, but the lamb and accompanying rice are both fabulous. The lamb really is as tender as promised and the fragrant rice possesses a real peppery kick. Along with my NSK Classic, the menu also lists Basta (that’s Somali for pasta), a warm lamb salad and wraps with a choice of meat or Somali-style falafel. Rounding off the menu is a trio of desserts and the option of Somali style tea or coffee. 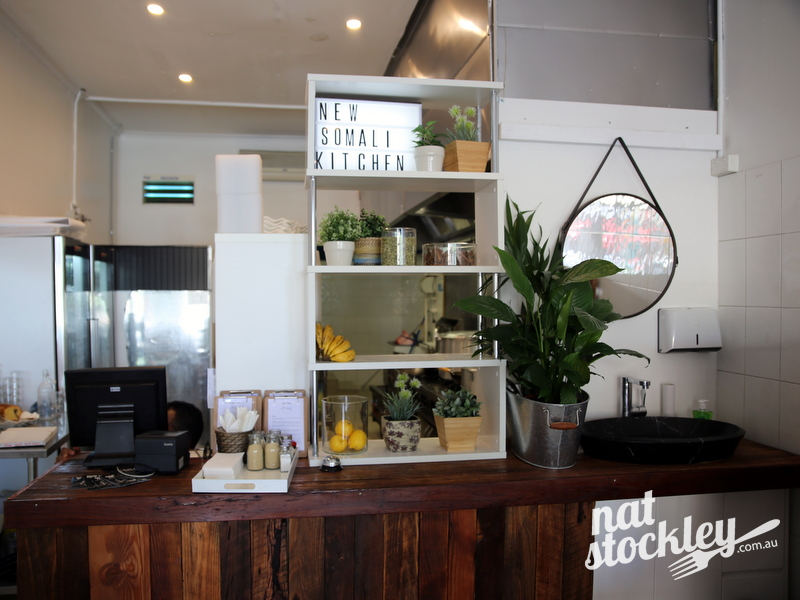 New Somali Kitchen’s contemporary décor and approachable menu will help entice those presently unacquainted with Somali fare. In the meantime, the local Somali community haven’t wasted any time embracing the newest eatery joining the neighbourhood.